Most static screens have been optimised for the Game Boy Advances' hardware. After health and safety warnings and a "licensed by Nintendo" screen, a simpler (albeit similar) Sega screen shows up. 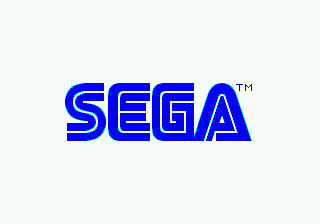 Sonic Team had no official logo in 1991. By 2006, they did. 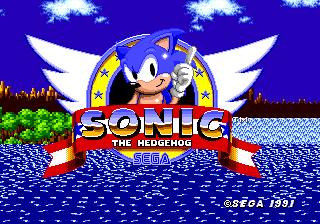 The title screen has been re-drawn for the smaller display. While the background is essentially the same but smaller, it has fewer layers of parallax scrolling. "PRESS START" flashes on the screen. The level select is no longer hidden. Genesis offers a battery back-up save feature, and levels are unlocked as you progress. All title cards have been re-drawn. In-game graphics are largely the same as on the Mega Drive, save for the heads-up display. Because of this, the action is zoomed in, making it more difficult to see what lies ahead. Ending cards are also different. 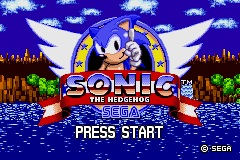 Pause the game and Sonic will disappear, being replaced by a simple menu. All other objects remain on-screen. Rings only have three frames of animation, and when collected, the animation is drawn upside down. All horizontal springs in the game are also drawn upside down. Sonic uses his drowning animation when dying. He also always faces to the left. Every zone uses switches with a Marble Zone colour scheme.